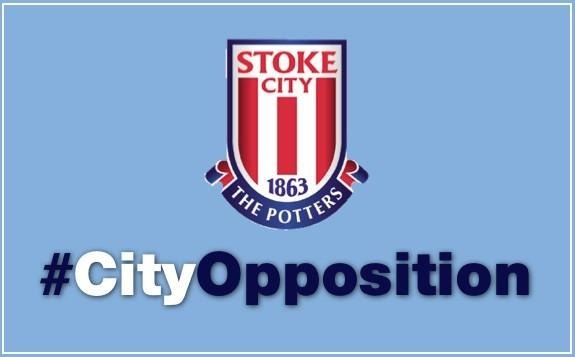 This is an “Opposition analysis” of Stoke City, Manchester City’s opponent on Saturday 15st September at the Britannia Stadium. I used the #MCFCAnalytics Lite data set to do this analysis. Final third passing Peter Crouch (286 – 46% completion rate) had the maximum completions in the final 3rd. Jonathan Walters (253 – 54%) are the next best passers in the final 3rd. Stats from last season indicate that Stoke is very “direct” in its attack (my “Eureka” moment right there!). Headed goals constitute 40% of their total goals scored. They were last in goals scored and shots on target. Overall, a very poor offensive record. Peter Crouch is Stoke’s top-scorer. Jonathan Walters is the most valuable offensive player who can score (7 goals) as well as provide (5 assists) and is one of their most active passers in the final third. Peter Crouch has the most # of completions in the final third, but that is not saying much. His completion % is below par. It is very likely that Stoke’s offensive game plan is to lob long balls in the direction of Peter Crouch, whose subsequent pass(or header) is easily intercepted. Stoke ranked last in the # of corners won. This is partly explained by the fact they are 19th in final 3rd completions – Could it be because Stoke is not spending enough time in the final 3rd to force clearances or mistakes from opposing defenders? Stoke have the league’s highest Assist-to-Goals ratio. Stoke are very poor shooting from outside the box. The two stats put together imply that they neither have someone who can make dangerous solo runs at the defence and create a goal scoring opportunity on their own nor possess a goal-scoring threat from outside the box. Pulis has addressed the latter by signing Charlie Adam, whose 40-yard boomers will at least add another dimension to their attack. Adam’s signing should also improve their passing in the final 3rd. They signed free agent Michael Owen last week in an effort improve their goal scoring. It is likely that Tony Pulis is looking for someone who can pounce on the knockdowns by Peter Crouch in and around the 18-yard box and take high percentage shots on goal. Not a bad idea in theory but I am skeptical on the kind of impact Michael Owen is going to have in the Stoke system. 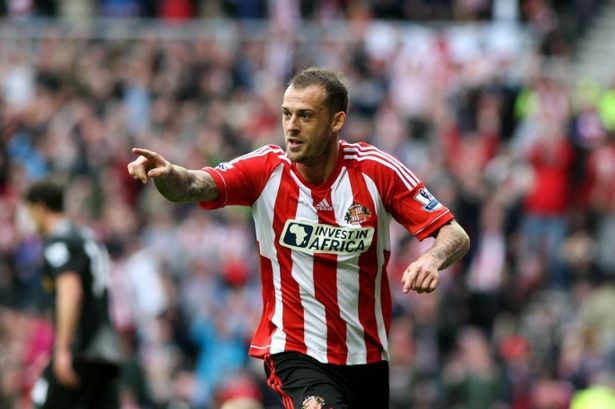 New signing US defender Geoff Cameron will provide cover for Rory Delap with his powerful throw. All their new signings are geared towards upgrading personnel for their direct approach rather than try something different. Stoke rely heavily on their strong and physical aerial game in the defense as well. Stoke create the 2nd highest # of aerial duel situations in the league and are the best in the league in winning % of aerial duels. This shows Stoke’s clear affinity to play the ball in the air to take advantage of the physical conditions of its players. On the flip side, Stoke are the worst in the league in winning ground duels & tackles. Stoke have the highest # of clearances 1910 (459 more than Norwich who are second. League average 1128). They also have the highest # of headed clearances in 959 (159 more than QPR who are second. League average is 575). This indicates that Stoke defenders are probably slow and tend to react late and get into situations where they have to make a clearance. They conceded the 5th highest # of corners in the league. Britannia stadium has the smallest pitch in all of Premier league. It is 4 meters narrower, 5 meters shorter and 10.36% smaller in area than that of Manchester City. This means less space to work with on the ground. The passing angles for players like David Silva, Tevez et al, will be restricted. It will make it easier for Stoke defenders to close down the attacking players of the opposition despite their inferior technique and slowness. It also makes the aerial game a bit easier as the likelihood of completing a pass through the air is probably easier than passing on the ground in a small and crowded field. (This could also be the reason why Stoke defenders are forced to make so many headed clearances as the opposing teams are forced to play the ball in the air to have a better chance of completing a pass in and around the 18-yard box). City should field as many players as possible who can pass the ball in tight spaces to move the ball on the ground close to their 18-yard box to force hurried clearances, defensive mistakes and set pieces. Stoke give up the 2nd highest # of shots on target from outside the box. Yaya Toure must fancy his chances of scoring a goal in this game. Stoke are reasonably good (13th lowest) at conceding shots from inside the box. This could be due to their physical defending style. If the ref is “letting them play” then Stoke defence could frustrate attackers of the opposition and force them to settle for shots from the outside. I have considered only Asmir Begovic’s numbers for this analysis, as he is the starter this season. He is the best in the league at completing long passes and one of the worst goalkeepers at completing short passes. 95% of all passes attempted by Begovic are long (1st in the league). He gave up 1.41 goals per game, 7th highest in the league. However, he only conceded 0.727 goals per game ( 8 goals in 11 games) with 4 clean-sheets at home. Overall Stoke gave up only 20 goals in 19 home games. This was one of the main reasons for their survival last season. Can you guess who scored the away goal for City and from where? Yaya Toure, from outside the box. Peter Crouch scored for Stoke. In the home game at the Etihad, Aguero – 2 and Adam Johnson – 1. City will find the going tough but should win this game. The key for City is to stay patient with their passing game and not be drawn into the physical and aerial battle that Stoke is so comfortable. Stoke do not create many clear scoring chances. If the City defence can keep their errors to a minimum, Stoke will most likely not score.